Dr. John Smith has been in practice since 2006. He began by joining an office in Eastern Kentucky, working as an associate with Drs. Arnold and Rita Goldman. These experienced practitioners taught Dr. Smith much of what he still uses in practice today, including different chiropractic techniques. 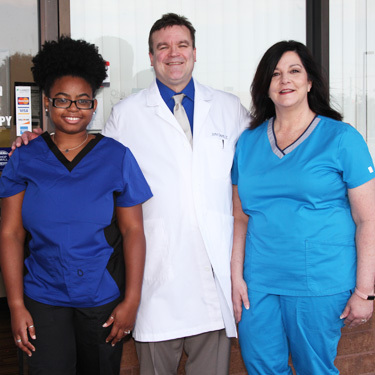 Dr Smith left the foothills of Kentucky for the city of Indianapolis, where he operated as the sole provider in a busy downtown office under the direction of the owner. While there, he further honed his skills in treating many types of physical injuries and conditions. 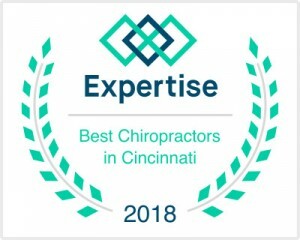 Finally, an opportunity arose for Dr Smith to purchase his own practice in Cincinnati, when the owner of a chiropractic clinic in the Colerain area wished to move, with his family, to Florida. Already with a license to practice in Ohio, Dr Smith was eager to open his first chiropractic office. He purchased this clinic in 2010 and has never looked back. Dr. Smith seeks to help you optimize your life by improving the form and function of your body. We see auto accident injuries, personal injury cases and people of all ages who want to make a positive change. A Better Life Chiropractic features positive messages and input throughout his office, including daily motivational thoughts to help you transform your mindset. Our goal is to not only improve your health but to affect your entire outlook on life. Often, patients come in that are in pain and have little function. We enjoy seeing them go from these difficulties to practically cartwheeling out of the office. Dr. Smith gives each person his all, hoping to impact their lives as his chiropractor did for him years ago. Dr Smith became a chiropractor because he wished to profoundly impact patients in the same way he was by the first chiropractor to treat him. His chiropractor had a significant influence on his life and he wished to be the same type of healthcare provider and positively affect as many lives as he could in the same way. He emphasizes the proper treatment, management and documentation of motor vehicle accident cases, which can often be mishandled by providers lacking the proper experience and training. If you would like to find out more, we invite you to contact our team today to discuss what we may be able to offer you. On-site X-ray facilities are available, and your insurance coverage can be used for your visits.